I played an online game called Everquest. In this game the created the idea of an epic quest for each type of character class. This epic quest tied in several smaller quests into a long storyline at the end of which you obtained your epic item. In my particular case my character, Byelka, was a cleric. A cleric's epic item was the Water Sprinkler of Nem Ankh (pictured above). With this idea of epics in mind I am going to start keeping track of my research, in some cases, in an epic form. Many times while trying to solve a much larger problem I end up creating several blog posts going over specific matters I had to overcome on the epic journey to solve the larger problem. I am now going to try to tie these type of blog posts together into an epic. 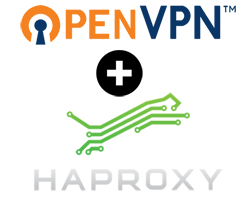 Epic Goal: OpenVPN for easier home server access, using HAProxy for routing and hiding the subdomain. Oh wait I could do that... I did not think of that. 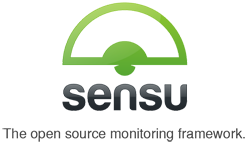 Well I am not going to back down on this I would like to redo my setup at home so that all web traffic 80, 8080, and 443 all goes to an nginx server that only handles ssl keys then send unencrypted data through HAProxy to its ultimate destination. (Of course in the case of OpenVPN it will not handle the ssl at the nginx entry level but pass that on for that specific subdomain). I have a long way to go, but I really want to understand the best mechanics and attitudes to make pair programming work. Some of the TODOs on my list are. 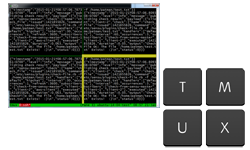 Epic Goal: Learn how to use tmux to open 8 panes that each start to tail a different server log via ssh, all via a script. Pagerduty, as far as I can tell, does not offer a single call in number. I need a single emergency phone number that I can hand out to key people. In the event of an emergency they only have one number to call to get a hold of the on-call engineer. This is partially done. 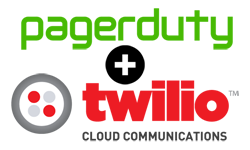 I have a basic twilio set up working, but I want to learn parse cloud code and TWIML in order to make a more complex phone tree.